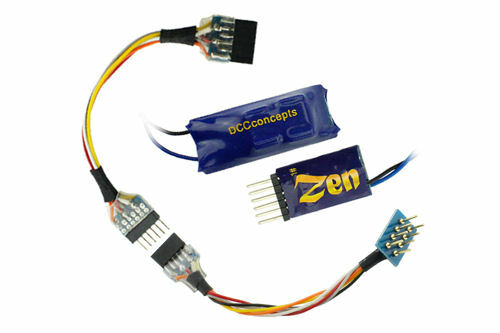 DCC Concepts - ZEN NANO 8 Pin Direct 4 Function Decoder w/Stay Alive. The smallest 8 pin direct plug decoder in the range. This decoder is smaller than most blanking plates so fitting it into a locomotive will be very easy. This pack includes a stay alive unit which are designed to aid your locomotives running characteristics during slow running. This unit basically keeps the decoder "alive" for a few milliseconds if dirt or dead spots are located on the track. Dimensions: Length: 15mm, Width: 7mm, Depth: 5mm. Specifications: � Number of Functions: 4, � Number of Pins: 8 Direct, � Current Rating: 750mA / 1amp motor drive, � Address Range: 1 to 9999, � Reset Value: CV8 to 8. 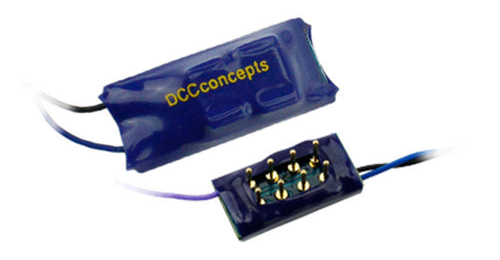 DCC Concepts - One of the smallest decoders produced by DCC Concepts. This decoder is only 15mm long so it can be hidden inside any locomotive either steam, diesel or electric. This pack includes a stay alive unit which are designed to aid your locomotives running characteristics during slow running. This unit basically keeps the decoder "alive" for a few milliseconds if dirt or dead spots are located on the track. Specifications: Number of Functions: 2, Number of Pins: 8 Wired Harness, Current Rating: 750mA / 1amp motor drive, Address Range: 1 to 9999, Reset Value: CV8 to 8. 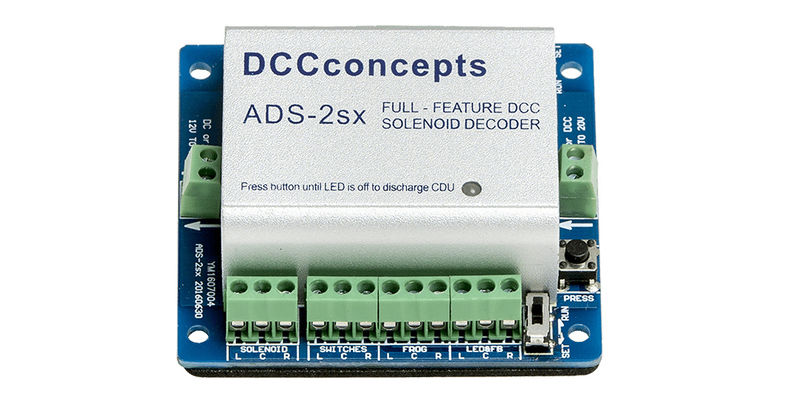 DCC Concepts - The Zen 360 decoder has been developed to fit in almost any OO/HO locomotive irrespective of DCC socket orientation. 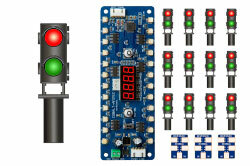 As long as your locomotive has an 8 pin socket, this decoder will fit. This decoder has been designed with a twin PCB stacked one on top of the other so you only need to plug it in as it will fit in place of the original blanking plate. This decoder also includes a separate stay alive unit which will aid your locomotives running characteristics during slow running. This unit basically keeps the decoder "alive" for a few milliseconds if dirt or dead spots are located on the track. Dimensions: Length: 14.2mm, Width: 12.5mm, Depth: 3.5mm. Specifications: Number of Functions: 4, Number of Pins: 8 Pin Direct Plug, Current Rating: 750mA / 1 amp motor drive, Address Range: 1 to 9999, Reset Value: CV8 to 8. Much like its "bigger brothers" the N68 decoders have very smooth motor drive characteristics which allow for slow speed running even inside N scale locomotives. These decoders are small enough to fit in any N scale locomotive and with the 8 pin attachment you can use them on OO/HO scale locos as well. This pack includes a stay alive unit which are designed to aid your locomotives running characteristics during slow running. This unit basically keeps the decoder "alive" for a few milliseconds if dirt or dead spots are located on the track. Specifications: Number of Functions: 2, Number of Pins: 6 Direct + 6 Pin Harness + 8 Pin Harness, Current Rating: 750mA / 1amp motor drive, Address Range: 1 to 9999, Reset Value: CV8 to 8. DCCconcepts Rolling Roads are very easy to use� You simply place them on the track (spaced ready for your locomotive). Incredibly versatile, they help with running in, testing and evaluation of locomotive performance, active cleaning of driving wheels, simpler DCC Setup and all kinds of tweaking to be achieved in front of you, on the desk or workbench. 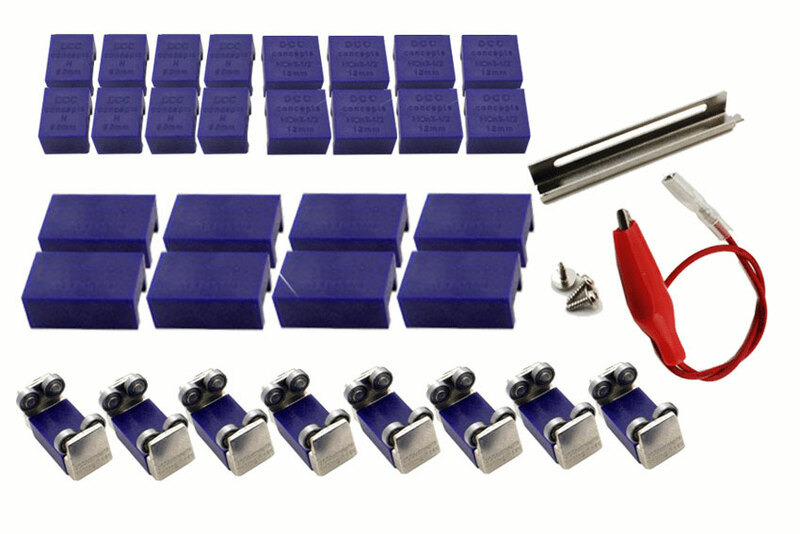 Our Rolling Roads are very versatile too � While they come pre-set for 16.5mm or OO/HO track, we include in the pack full sets of spacers for each of the following track gauges. Gauges: 9mm or N scale, 009 and HOe (or HO scale 3-foot gauge), 12mm or TT, HOm (Metre gauge) (or HO scale 3�6� Narrow gauge), 5mm or HO, OO and ON30 gauge, EM and P4 finescale. Change takes only moments with a small screwdriver and doing it is easy and problem free for novice and expert alike. We have also thought about those collectors and modellers who enjoy and are preserving the history of our hobby by running the 3-rail models that really kick-started our hobby. So � to make sure our rolling roads are universal, we have added into all 4, 8 & 12 packs an adapter that is suitable for both Marklin and Hornby Dublo 3-rail use� so now everyone really IS taken care of! 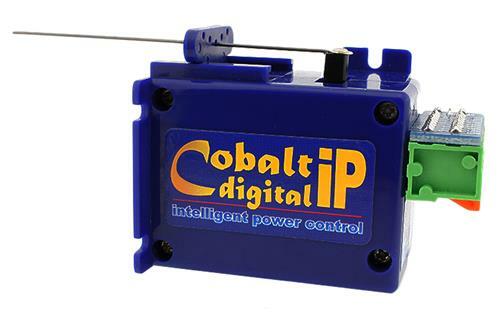 Introducing Cobalt-iP Digital � Cobalt-iP Digital is a new Cobalt DCC-on board product that adds on-board DCC control to the very best features of Cobalt Classic-O and Cobalt -iP to create the best ever digital-ready point motor. 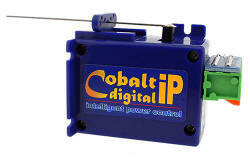 With Cobalt-iP Digital, you can have your cake and eat it too, because it is 100% ready to go in digital format, yet it will also allow you to have a classic control panel with a choice of either one or two push-button switches per turnout� Super low current draw means you can use complex pre-set routes using the abilities already built in to most quality DCC control systems with no need to add anything else! 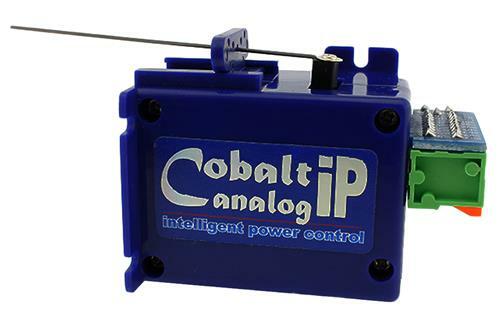 Introducing Cobalt-iP Analog � Cobalt-iP Analog is a new Cobalt product that takes the very best features of Cobalt Classic-O and Cobalt Digital-iP to create something special that bridges the gap between Digital and Analog point motor control. 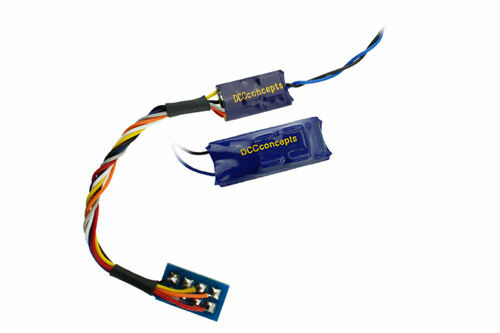 Throughout the design process� we have focussed on taking what were already the best DCC-upgradable turnout motors available, the Cobalt Classic and Cobalt Classic- O, and making something really special for those who want just that little more� or those who might prefer to use a separated layout control bus and computer control for the layout, while preserving DCC system usage for the thing it does best� the driving of trains! 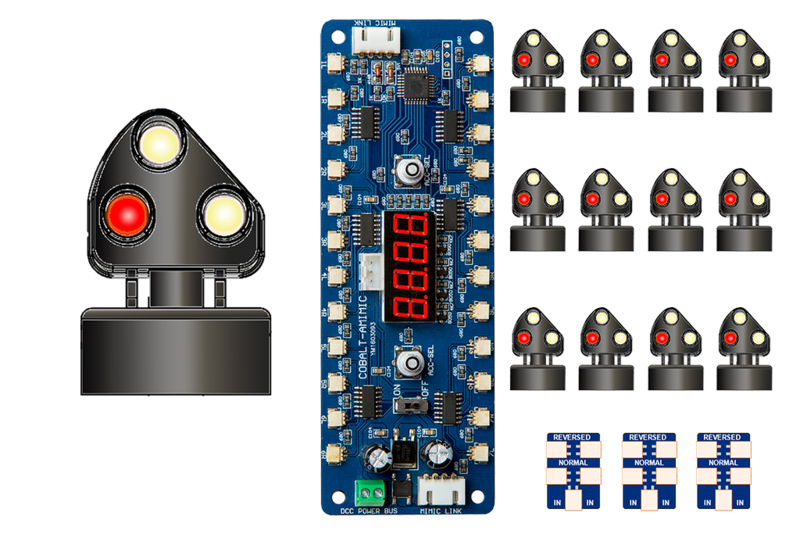 ALPHA MIMIC 12x LMS/BR Ground Signal � A pack of 12 x 3-lamp plug and play signals in 4mm scale (OO), complete with control board and accessories. The DCD-MGS-BR is the classic 3-lamp ground signal. It was first introduced in the mid 1930�s and spread far and wide. Most are still in use today. This makes it a great choice for layouts of many prototypes and periods. 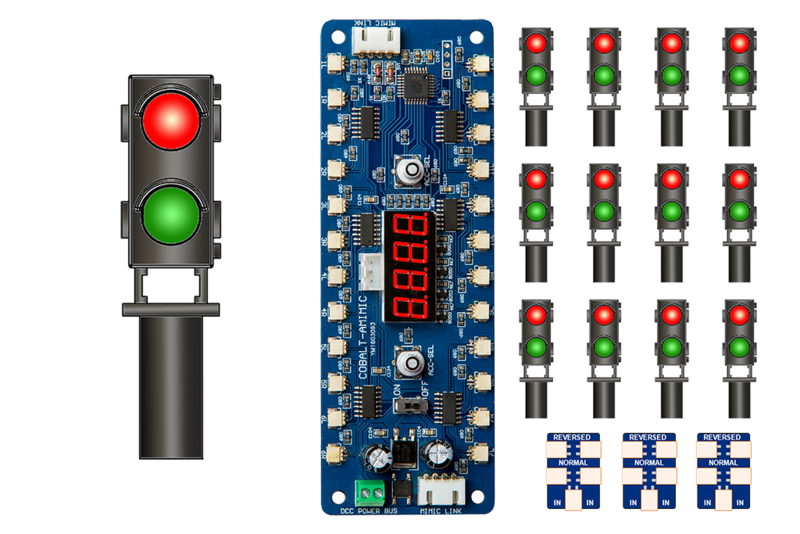 ALPHA MIMIC 12x Red/Green Ground Signal � A pack of 12 x 2-lamp plug and play signals in 4mm scale (OO), complete with control board and accessories. The DCD-MGS-RG is a simple design 2-lamp ground signal that was first seen on a limited basis in the 1920�s in the UK, but it was very widely used internationally. In addition to its world-wide use, it is also perhaps the perfect �indicator signal� for those with large storage or fiddle yards, giving a clear �Red/Green� indication of track access if used for this. �6 Lamps, illuminated with NANO light LEDs and ready to install. 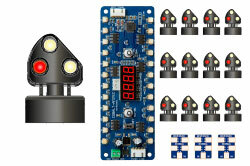 �8 Resistors (6 each of three different values to give different light levels). 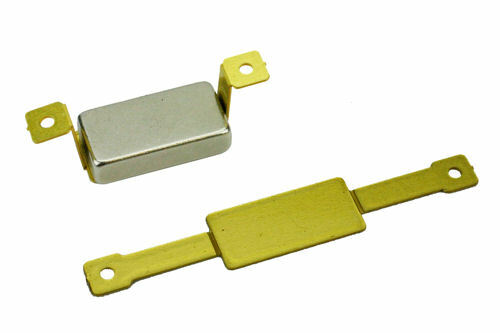 Pack of TWO solid brass power distribution bars. The hobby has looked for something like this at an affordable price for a very long time! 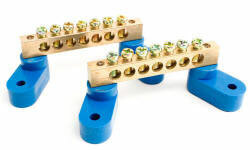 DCCconcepts has created these tough, machined brass 'power bus' distribution bars with insulated, swivelling feet especially for DCC layout wiring. Capable of carrying huge current, they have 1x6mm access hole for the largest power bus and 6x4.5mm holes for power distribution. Each connection point has a Pozidrive head machine screw for really reliable connections. 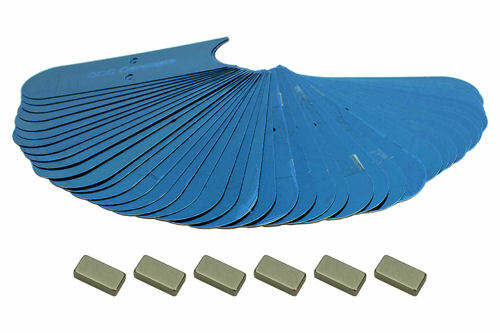 DCC Concepts PowerBase is a system of metal plates and magnets that when used together, improve the pulling performance of your model railway locomotives, be that on the flat or up an incline. To install this system you will need to fit the metal plates under your track before pinning the track down. The magnets are fitted to the bottom of your locomotives. 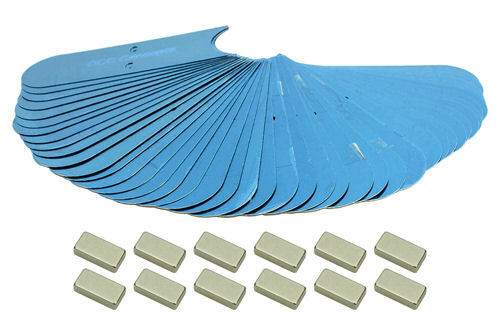 the resulting downward force between the magnets and the metal plates improves your models traction increasing the number of coaches / wagons that can bee pulled. 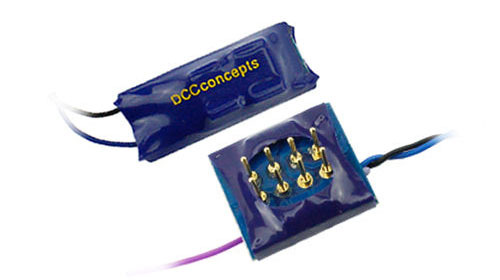 DCC Concepts - PowerBase Starter Kit. For OO/HO and larger scales. Contains 25x/2.5 Metres of PowerBase Centipede Plates, 6 magnets and 6+ housings, plus pan head screws to assist magnet mounting. (enough for 2-3 4mm scale locomotives). DCC Concepts PowerBase Value Pack (OO/HO Gauge). For OO/HO and larger scales. 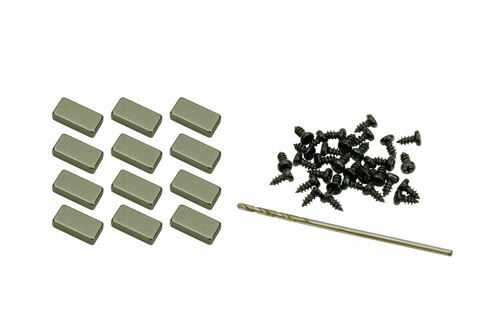 This economical value pack contains approximately 5 metres of PowerBase centipede plates, 12 magnets and 12+ housings, plus 30+ blackened pan head screws to assist magnet mounting. (enough for 2-3 4mm scale locomotives). DCC Concepts PowerBase Expansion Pack. For OO/HO and larger scales. PowerBase extension pack. Contains 50x/5 Metres of PowerBase Centipede Plates. 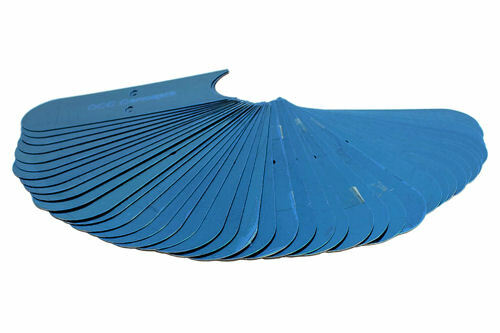 Usable with any track formation, set track, flex track and any track brand. Usable with all track radii. Includes mounting pins and spare magnet housings. DCC Concepts PowerBase Mounting Etches (35). Some locos, especially those with irregular base plates or large wheels may need to use a different mounting position to keep the magnets closer to the track. This etch contains 35 etches in various sizes to make mounting easy - the light material used keeps it subtle. 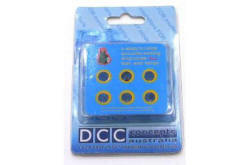 DCC Concepts PowerBase Magnet Pack. For OO/HO and larger scales. 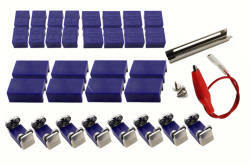 Contains 12 magnets and 12+ housings, plus 30+ fine blackened pan head screws to assist magnet mounting.